Ghost Hunting Theories: Why Are Lighthouses Haunted? 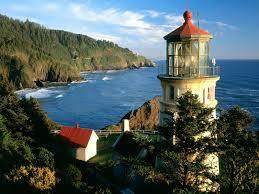 Heceta Head Lighthouse in Oregon is a very ridiculously charming B and B with yummy food, a great view, and perhaps a few ghosts. 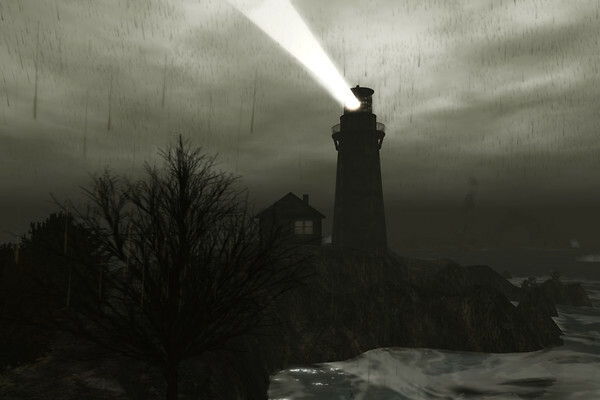 The ghost spoken of in relation to the lighthouse is the "Gray Lady." She is attributed with moving objects around, opening and closing doors, setting off alarms, and climbing the stairs. Upon occasion, she has been seen in the attic window or in a puff of gray smoke. This B and B is an an amazing location and one can even rent the keeper's house that can hold up to 15 people. Imagine a 7-course breakfast. It is obvious the charming couple who runs this lighthouse getaway understands the romance and beauty of such a location and the guests are spoiled, delightfully so. It is one of my top place I most want to visit. 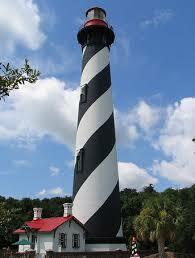 The St. Augustine Lighthouse got onto everyone's radar when Ghost Hunters show did a chilling episode there. It has a history of some tragedy and quite the history of haunting. 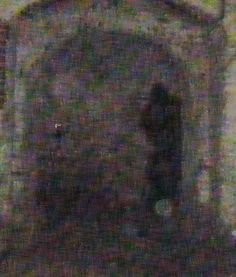 This famous "ghost" baffled me a bit. The guys set up an IR camera at the base of the stairs, looking up the spiral. If anyone were lean in front of that, they could cast a shadow. 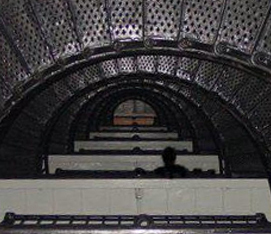 They found the same explanation at a prison that had a famous "shadow person" photo. They realized with a person filming with IR behind another person, that person cast a shadow. The lighthouse offers ghost tours. 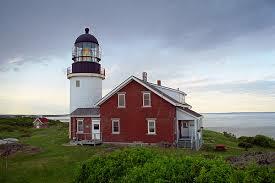 The Seguin Island Lighthouse was commissioned in 1795. The haunting here is a deliciously gothic tale of a lighthouse keeper with a bored and lonely wife who got her a piano, but she only had music for one song all winter long and played it over and over again until he went mad. He ended up axing his wife and then killing himself. 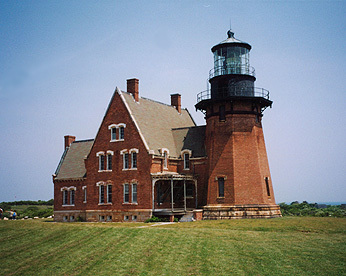 Reports from the Southeast Lighthouse on Block Island include a lighthouse keeper long ago who was angry at his wife and shoved her down the stairs. He claimed it was suicide, but he went to jail for her murder. Her spirit apparently doesn't mind women and children, but she will harass the men. She reportedly moved beds and locked a keeper out of the house, and when they moved the lighthouse to protect it from the elements, she became even more stirred up. If one considers a lighthouse a kind of "hospital for the ships," then tragic deaths on their rocky shores, ships sinking nearby in storms, and isolated and lonely lighthouse keepers with cabin fever might come together in a perfect scenario for a beacon of light becoming a beacon of attraction in the night. Here's an interesting case: The Panoptican. This was a building design in the late 18th Century designed by a philosopher and social theorist. He believed that a more circular design of a prison would make it so that the prisoners never knew who was being watched, as all of them could be viewed at the same time. This would make them be on better behavior. In an interesting way, this applies to circular buildings as well. Everywhere you are, you are in view in a sort of telescopic way. So, if you feel you are being watched, it is greatly amplified in the building. This might also explain why in theaters people often feel they are haunted by the simple structure of the building being open and exposed no matter where you go. In my book "Vacationing With Ghosts" I share what it was like to be in a haunted lighthouse that was abandoned on the bay. Even as a child, I knew that the very structure, shape, history, water and stonework came together in a perfect alchemy, almost like a crystal's piezo electricity abilities inside its facets. Why are lighthouses haunted? I suspect if they were built as rectangular towers or high rises, this would not be a problem, so we must consider their very shape is part of the formula. We look at human beings as having electric fields around our bodies, auras, even bio-luminescence has been found with CCD cameras. What if a building with a certain focus of electrical power at the peak and a rounded shape, with the energy churned by waters outside, creates a kind of vortex energy? After all, isn't that some of the speculation for pyramids and their peak focusing piezo electricity? Might the water crashing on the rocks create enough ozone to affect someone's health or mind? These are more things to consider. There are a lot of components at hand when talking about why lighthouses are haunted, but given their tragic beacons, lonely taskmasters, waters, power, and shape, they make a fantastic focus for collecting energy and holding it in the infinity that is a circle.